Dummy chain from Little Wonders with a charming heart-clips, makes sure that the dummies does not end up on the floor. 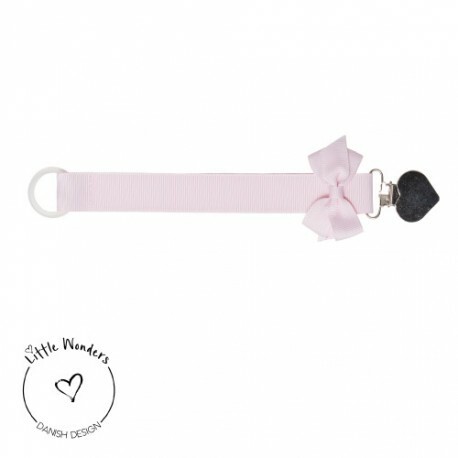 Beautiful sparkling pink dummy chain with matching bond from Little Wonders. The dummy chain makes it easier and more hygienic to keep track on the dummies. The dummy chain is 22 cm long.